An effective but gentle way to clean and soften hard working hands. The gentle scrubbing action of natural olive seed helps buff away ingrained dirt and roughened skin. Enriched with a special blend of skin calming plant extracts, and with moisturising shea butter, this scrub will leave your hands feeling cleaner and softer than before. 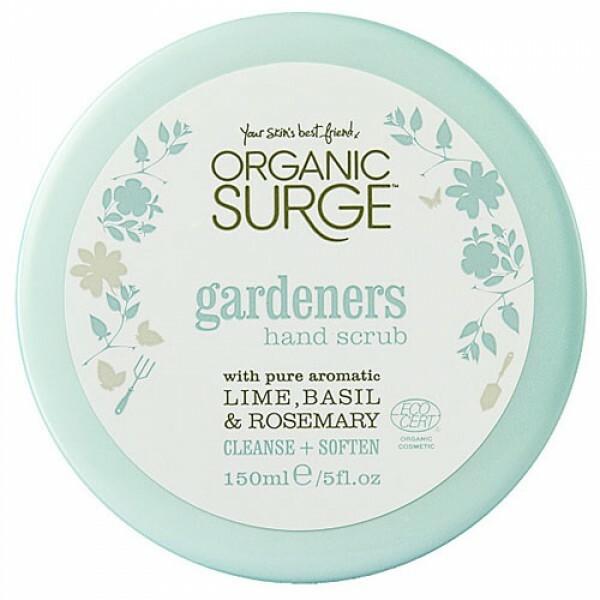 This 99% natural hand scrub is enriched with lime, basil and rosemary essential oils. It effectively cleanses and leaves skin clean and soft. Aloe Barbadensis Leaf Juice*, Cetearyl Alcohol, Glyceryl Stearate, Glycerin, Aqua / Water, Olea Europaea (Olive) Seed Powder, Caprylic/Capric Triglyceride, Butyrospermum Parkii (Shea) Butter*, Cetearyl Glucoside, Olus (Vegetable) Oil, Lauryl Glucoside, Citric Acid, Benzyl Alcohol, Xanthan Gum, Sodium Stearoyl Glutamate, Potassium Sorbate, Sodium Benzoate, Citrus Aurantifolia (Lime) Peel Oil Distilled*, Citrus Medica Limonum (Lemon) Peel Oil*, Citrus Aurantium Dulcis (Orange) Peel Oil*, Cymbopogon Martini Oil*, Rosmarinus Officinalis (Rosemary) Leaf Oil*, Dehydroacetic Acid, Cedrus Atlantica Bark Oil*, Althaea Officinalis Leaf Extract*, Mentha Piperita (Peppermint) Oil*, Mentha Piperita (Peppermint) Leaf Extract*, Ocimum Basilicum (Basil) Oil*, Salix Alba (Willow) Bark Extract*, Spiraea Ulmaria (Meadowsweet) Extract*, Tilia Europaea Flower Extract*, Trifolium Pratense (Clover) Flower Extract*, Ascorbic Acid, Geraniol, Limonene. *ingredient from organic farming. Naturally occurring within essential oils. Natural and Organic Cosmetic certified by ECOCERT Greenlife. 99% of the total ingredients are from natural origin. 58% of the ingredients are from Organic Farming. Massage into hands and around nails then rinse off with warm water and towel dry. Follow with Gardeners Hand Cream, and relax.